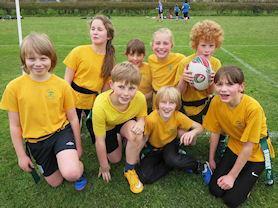 On Monday, a team of eight Year 5 and 6 children participated in a Tag Rugby tournament for Vale Schools. Every member of the team played with commitment and determination and we were so proud of their efforts. More importantly, we had a great time and enjoyed all our matches.